Peanut butter fruit is native South America. 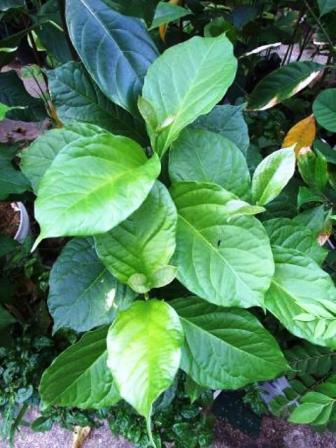 It is believed to have originated in the Andean region, mainly Peru and Ecuador. It bears small red sweet fruits which taste like peanut butter. 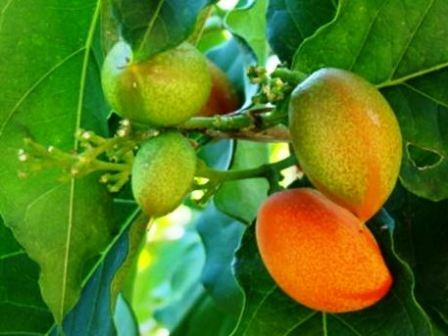 Though it is a South American plant, it is quite popular with Florida gardeners who plant it as a multipurpose ornamental tree. An evergreen large shrub or small tree growing 2-4 m tall; very attractive. Leaves simple, coriaceous, glabrous on both surfaces, brilliant, 12-23 cm long. Flowers androgynous, yellow, small and lightly perfumed, arranged in 10-25 cm long axillary acemes in the apices of branches. Fruits oblong globose drupes, of the size of a medium sized fig, about 2.5 cm long, with thick sticky dense pulp, sweet, pleasantly flaured. There are various versions about the taste of this fruits but according to masjority consumers it resembles like peanut butter. Hence ithas been named after peanut butter. The fruits are eaten fresh and also made into juice, smoothies, drinks and jams. The suits also taste very good when made into milkshake. 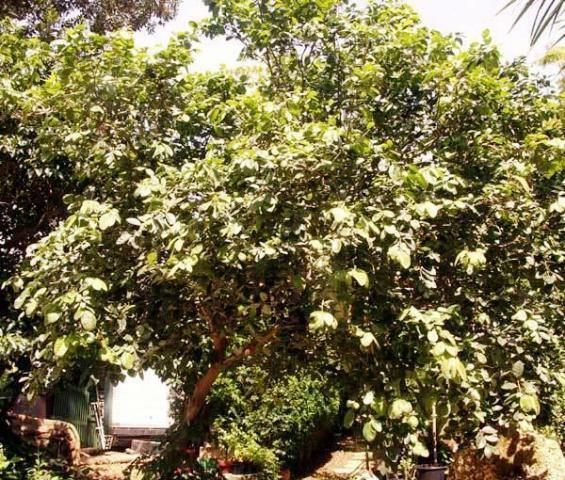 Pea nut butter tree is basically a rain forest tree. Therefore, very sunny locations are not good for planting this tree. It will bear less fruits and the vegetative growth will also not be proper. So select a part shady location for this fruit. Though a tropical plant, but it can still tolerate some frost. The fruits have to be picked every day. They also do not keep for more than a day at room temperature and therefore must be kept in a refrigerator. If these are to stored for a longer period, these have to be separated from seed and kept frozen. 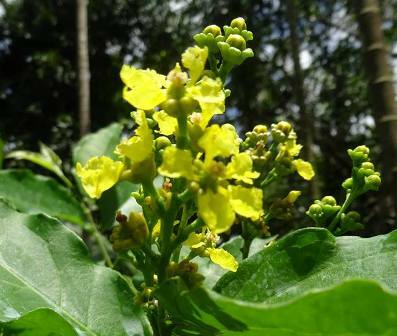 As it is an attractive tree bearing attractive yellow flowers, so it can also be planted as an ornamental tree.